This is less of a scientific biography than a love story or a feminist pep talk. Even at that, it's shallow and mostly pointless. As a free download, it's a pleasant enough waste of a couple hours, but I certainly would see against wasting a credit or any amount of money. Taking a fresh look at the concept of happiness, Hollis uses a warm, accessible tone to encourage listeners to learn to tolerate ambiguity, embrace growth rather than security, respect the power of Eros, engage spiritual crises, and acknowledge the shadow of mortality. 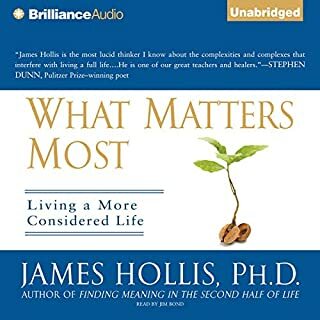 Providing inspiring wisdom and personal reflections to address our deepest worries, What Matters Most yields far more than mere self-help clichés. This isn't fluffy self-help by some TV celebrity. It's heavy, intellectual stuff, and at the same time energized and expressive. Not a relaxing read, but very rewarding. 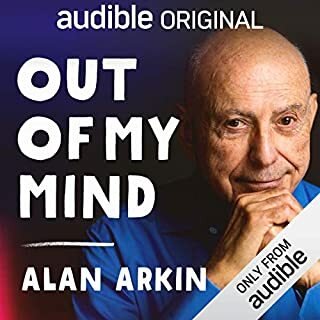 The mixed responses to this book are predictable: 5 stars from intellectuals who enjoy the unapologetic rigor that sets this book apart, and 1 star from folks who would be more comfortable with Oprah's latest. Unfortunately, the narration is really mediocre. The text is delivered with the stoney, strong-jawed baritone of a news anchorman or a 1950's superhero ("The Incredible Mr. Monotone"). The guy's name is James Bond, and he seems to really roll with that. He reads the words strongly and clearly, tromping through the big words with charismatic pomp, and no apparent regard for their meaning or any human sentiment they might affect. It does the job, but sells the book short. It's still well worth a listen... just a shame about the voicing. 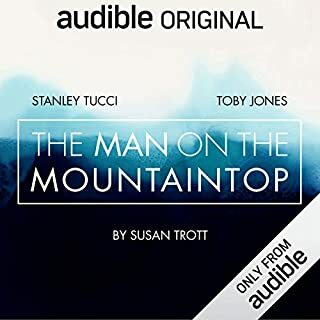 The narrator dutifully reads the classic text, delivering an audio rendition completely devoid of emotion, style or interest. He even pronounces the passage numbers, disrupting any natural flow you might find in his robotic delivery. It's as if the publisher doesn't understand the difference in experience between listening to an audiobook and reading a reference manual. There's simply no reason to listen to this. 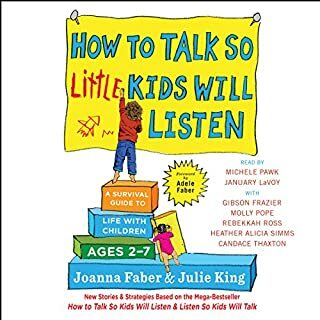 The original "How to Talk" is a seminal classic. This book offers virtually nothing new, just a lot of blathering chatter to fill pages, delivered with a grating, nasal voice. It feels like they're just milking the brand. Please, do yourself a favor and read the original - it's nothing short of life changing - and avoid this garbage. These little stories and musings meander through the dark territory of spirituality and the supernatural with casual sincerity, and no apparent ideology or agenda. 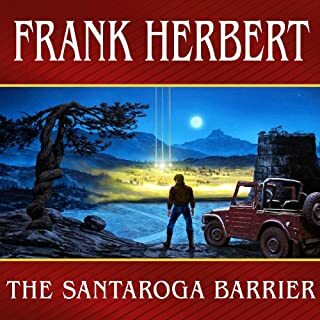 It's really a unique and lovely piece of writing, particularly be well suited to the audio format. These stories are cute, but shallow. This collection of parables is pleasant enough: a survey of the basics of wisdom traditions. But if you're at all familiar with the fundamentals of morality and personal philosophy, you may find it heavy-handed, obvious, childish, and a general waste of time. 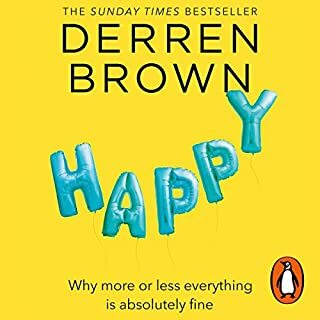 "Happy" is a survey of applied philosophy. like Derren himself, it's very intelligent and approachable. But unlike his TV specials and stage shows, it's not especially memorable. The value of this book depends heavily on where you stand. 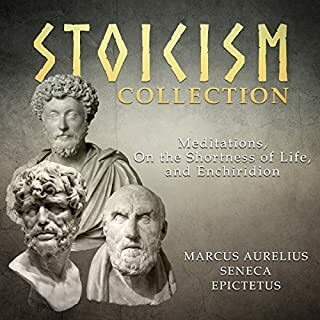 I'm quite familiar with philosophy and already on board with Stoic ideals, so this provided a pleasant review, but nothing groundbreaking. For some, this book may be life-changing. In any case, the audio format is key. Derren's charismatic intellect resonates through his reading, and I think much would be lost in a text version. Note: Derren, if somehow you read this, they definitely did muck up the cover. 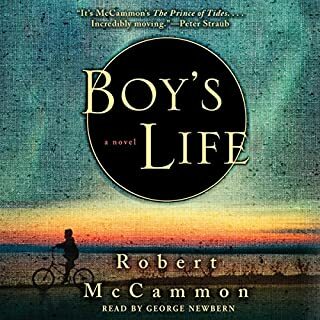 There's real magic in this book, and the narration captures it, with a sparkling lilt and colorful, believable voices for the ensemble of characters. 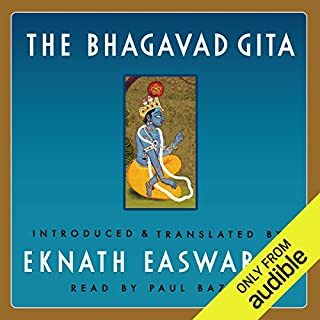 I recommend this audiobook whole heartedly. the reviews here cover it. 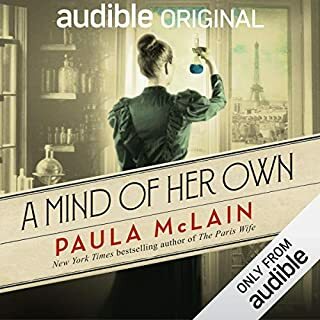 it's worth noting that this audiobook includes both a long annotated version with an intro before each chapter and a short version with just the full text. so after you've read the former to get an understanding of the text, you can enjoy rereading the latter again and again for a dinner of inspiration, wisdom and spiritual guidance. This is good science fiction, but unremarkable and forgettable. Presumably it was more culturally shocking around the time of its release. Today, it has the feel of a dusty, slightly mildewed heirloom: quite lovely in its essence, but without any luster.